 foot-age  A length of film or video. With evidence and liability predominant, on scene video footage is becoming mandatory for all essential services including law enforcement, medical treatment and of course search and rescue efforts. A miniature video camera, about the size of a large wrist watch, is worn by the handler. New stabilization software steadies the footage and provides a complete record of every search mission. Merging all essential technologies into three inches and three ounces (80mm and 80grams), this ultimate communication device combines a high resolution video cam with GPS, wireless Internet and cell phone. Open or closed, the self rotating LCD can be activated as a video phone, computer screen or as an LCD monitor while footage records on the wide angle 16:9 lens. Users have hand free viewing of maps and other vital data when the Comcator is mounted on clothing or a chest harness. 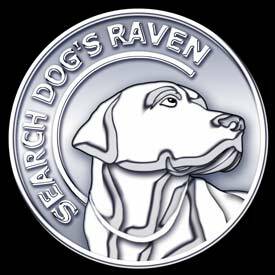 SEARCH DOG'S RAVEN is now in post production. Until then, there's important EVIDENCE for you to look at.